Carrie Mathison (Golden Globe® winner Claire Danes), a brilliant but volatile CIA agent, suspects that a rescued American POW may not be what he seems. Is Marine Sgt. Nicholas Brody_(Damian Lewis) a war hero...or an Al Qaeda sleeper agent plotting a spectacular terrorist attack on U.S. soil? Following her instincts, Mathison will risk everything to uncover the truth — her reputation, her career and even her sanity. 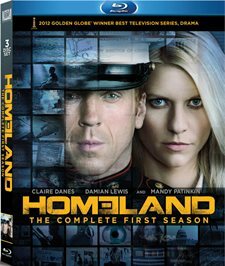 Download Homeland in Digital HD from the iTunes store. Homeland images are © Showtime Networks. All Rights Reserved. The phone rings. "Honey its me." Imagine yourself a military wife with your husband overseas serving in Afghanistan. Now imagine what it would be like getting that phone call 8 years after your husband was captured and presumably killed by terrorists. Welcome to the world of Jessica Brody (played by Morena Baccarin from series "V"and Stargate SG-1"). Now imagine what it must be like for Nicholas Brody, (played by Damian Lewis from "Life" and "Band of Brothers") being brought home to the United States as an American Hero. Home to the wife and family he left behind before being tortured endlessly for years and now suffering from post traumatic syndrome. How does one deal… or does he? Enter Carrie Mathison (played by Emmy award winning Claire Danes from "Temple Grandin" and "My So Called Life") as the CIA operations officer who sees more into this situation than one would think. In fact she would bet her career on it. In the back of Carrie's mind is the warning she got in Afghanistan by a prisoner on death row, an American prisoner had been turned. Could Nicholas Brody be the one? 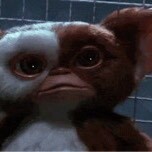 Or is she being paranoid? Considering she's taking antipsychotic drugs, you don't know. Sound Intriguing? 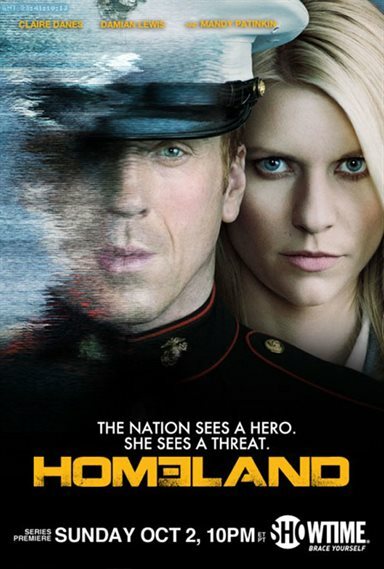 Welcome to the first season of "Homeland" on Showtime just being released on Blu-ray for the first time. Showtime once again gathers some fantastic writers with a thrilling concept that truly makes you want to watch all 12 episodes back-to-back non-stop! Ever since 9/11 Terrorism and its fractions have been in the back of every American's mind, but would we able to conceive of one of our own being turned? Danes, who won the Golden Globe for Best Performance by an Actress in a Television Series – Drama for "Homeland", truly shines as the CIA agent with a guilt complex that haunts her. "I missed something 10 years ago and I wont miss it again" referring to a day in American history where most Agents in our government had to ask themselves the same kind of question. How did we not see it coming? CIA Agent Carrie Mathison's drive to uncover the truth knows no bounds and even finds her breaking the trust of her friend and mentor in the CIA, Saul Berenson (Played by Emmy Award winner Mandy Patinkin of "Chicago Hope"). "Homeland" brings so many serious issues to light, the personal sacrifice our soldiers, torture, invasion of privacy, how our media treats a "Hero", Post Traumatic Syndrome, and how would a family that's been broken apart mend again. And yet it will give you a little look on what it must be like for an agent to know something's wrong but not be able to prove it. Homeland is smart, amazingly well written and acted, and in the end prays on one of our greatest fears…a terrorist on our own soil. Once again…Showtime has another hit series on its hands! Check out "Homeland" you wont be disappointed! Congrats Homeland for your Golden globe wins. You deserve it!